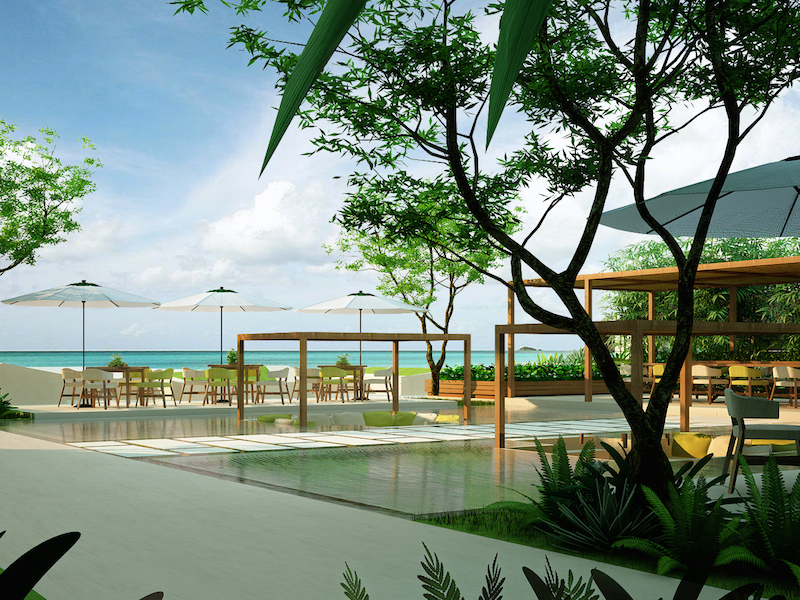 Fusion Suites Da Nang Beach bring a new beach lifestyle to the central coast. Situated on a prime beach location on the central coast of Vietnam, Fusion Suites Da Nang Beach is a significant modern establishment on Da Nang boulevard. Based on the Fusion philosophy of providing ultimate relaxation with a heart- based hospitality approach, Fusion Suites Da Nang Beach brings a new beach lifestyle with trendsetting holistic concepts to the hospitality industry. Fusion Suites Da Nang Beach’s wellness approach encourages healthy living, and brings guests one daily in-room designer foot reflexology that is included in the rate. The all-inclusive reflexology is based on programmes developed from the principles of Fusion reflexology science, and uses special custom-formulated massage balms for ailment specific therapy. 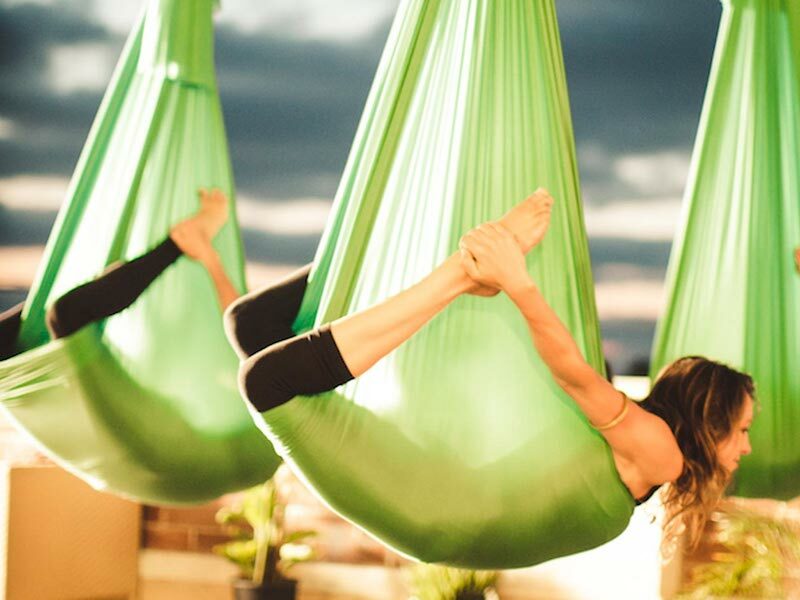 Wellness also includes aerial yoga, meditation, customized fitness, nutritional programmes, wellness apps support and even programmes for kids. At Fusion Suites Da Nang Beach, a range of 123 suites and 6 penthouses provide a home away from home experience, perfect for young families, couples, or groups of friends. Designed for the modern traveller, Fusion Suites Da Nang Beach provides all the in-room facilities required for your next beach holiday. 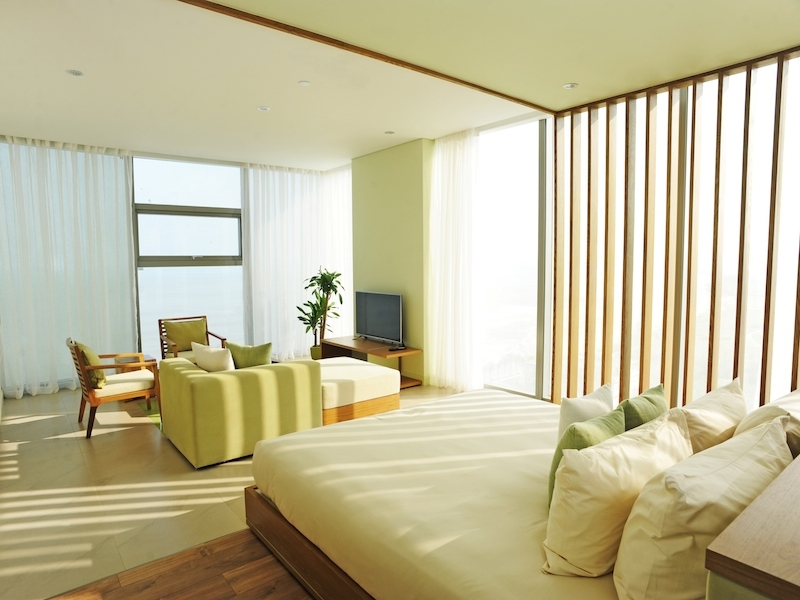 Using fresh pale green and white tones with wood, this 23-storey hotel captures gorgeous ocean views through its expansive windows that also offer plenty of natural light. Chic Studios are intimate accommodations for couples or solo travellers. The 2-bedroom Ocean Suites and Signature Fusion Suites have a second bedroom with a functional single-over- double bunk bed, making them the ideal choice for small families with two children. The Penthouses, Duplex Penthouses and Grand Penthouse cater for friends or families. These have a master bedroom and a twin bedroom. For comfortable boutique living, suites and penthouses have integrated living areas and well-equipped kitchenettes with French Press coffee maker, full-sized fridge, induction hob, microwave, and a NutriBullet extractor (accompanied with fresh fruit basket) for making supercharged smoothies. Other aspects include complimentary Wi-Fi, bluetooth speakers, cable TV and bathroom amenities. 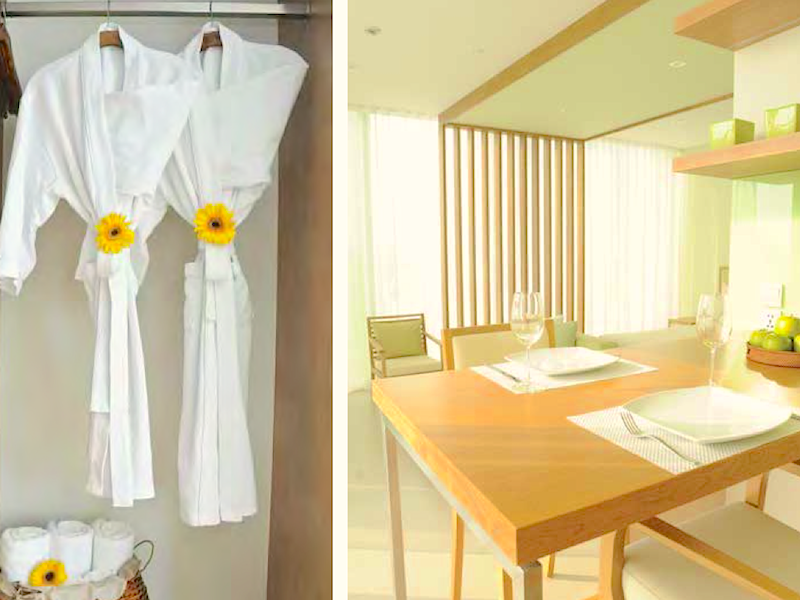 Dining options at Fusion Suites Da Nang Beach includes Fresh, the all-day cafe with a fun grab-and-go service. Here you can enjoy natural Fusion style cuisine using fresh ingredients. Fun and relaxation is ultimate at the Pool Lounge. It’s a great socializing spot to enjoy the coolest music while sipping creative mixes. Enjoy chic elegance at Zen, the rooftop lounge exclusive to hotel guests, where sundown cocktails and fine dining is served with extravagant views.